Are you looking for best northern lights photography workshop in Canada. Have you ever wanted to photograph the aurora in Yukon. 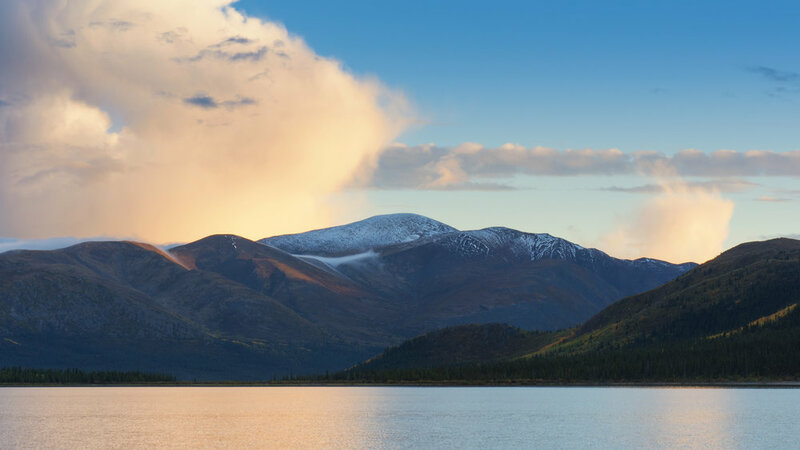 Join Chris Pepper in the Yukon for this experience. Nordlichtfotografie-Workshop in Kanada. 加拿大的北极照明车间. taller de fotografía northernlights en Canadá. カナダ北部撮影ワークショップ. The Southern part of the Yukon is covered by vast coniferous boreal forest, rugged mountains, and a network of rivers and lakes. Together we will start in Whitehorse, travelling along the Southern reaches of Yukon, and into Northern British Columbia. 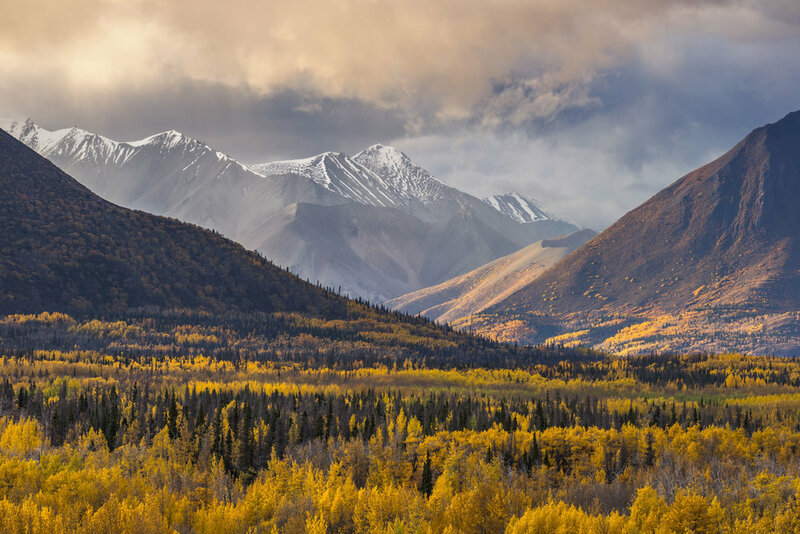 Get ready for photographing mountain landscapes, blazing fall colors, and Yukon wildlife. In the night, the magic of the trip begins, we will be out every night if the sky is clear visiting some of the best locations I know for amazing lake reflection Northern Lights. I have had many people say after the first day and night of this trip that they already got their money’s worth from this workshop! We will focus on planning for a successful landscape, mountain ranges, aurora borealis, and wildlife photographs. Learning how to use proper composition and natural objects to help create impactful “keeper” photos. Techniques such as long exposures, HDR and light painting will all be part of our daily activities. Black and white fine art techniques are also available to learn, if interested. When we are out photographing we will discuss camera settings, holding your camera properly, how to set up a tripod in different terrain, how to care for your gear and what it means to think outside of the box. Our goal is to take you photography to the next level and help you achieve your photography goals. Most of all we want you to have fun and enjoy your vacation! Included: Accommodation, transportation, flight over the glaciers, all breakfasts, all dinners and snacks and water during the day. Day One Events: You will arrive at the Whitehorse Airport (YXY) in the early afternoon and we will proceed to our hotel in Whitehorse. We will have a welcome group meeting, giving you an itinerary and go over any expectations for the week ahead. Today you will have some free time to explore the Whitehorse area. After dinner, if the aurora forecast is good with clear skies we go out to shoot on our first evening. Day Two Events: Today we will be journeying to Haines Junction, it is a gateway to the spectacular Kluane National Park and Reserve. Surrounded by a vast beautiful and rugged landscape, Haines Junction is truly a wilderness town and offers exceptional outdoor experiences. Today we will experience a breathtaking Glacier Air Tour, a once and a lifetime flight. We will see Canada's highest mountain, Mount Logan and the world's largest non-polar icefields. This is the best way to see Kluane National Park, where there is a good chance of seeing a grizzly bear, black bear, moose, dall sheep or mountain goats. After dinner, if the aurora forecast is good we will be going out to shoot once again. Day Three Events: Today we are getting up early, it’s off to see some of the best areas for mirror lake reflections with snow peaked mountains to complete our images. On our way, we will be driving through some low-lying marsh areas. In the past, they have been great for moose images, surreal fog images of low pines and mountain backdrops. Before we leave this area, I want to take you through some amazing landscapes, that change as we drive south into BC. Here you will see tundra, barren lands, small trees and rocky mountains. But all it takes is one hill and you are back into boreal forest with snow peaked mountains. This area has been quite successful in past trips for spotting wildlife such as moose, black bear with cubs, northern hawk owls, grizzly bear and coyotes. On our way, back we will stop for dinner at a restraunt that has been serving locals and travelers for many years. Our destination tonight will be back in Whitehorse. Tonight, we will either be going out to photograph long exposures over a lake or heading out to a different area to capture the aurora. Day Four Events: Today we will be heading South, down the South Klondike Highway, between Whitehorse and Skagway. We will be stopping at a small town, called Carcross. Home of the World's Smallest Desert, and the great beach of Lake Bennett. The population is about fifty percent Native and fifty percent Non-Native. Tourism is a very important component of the economy. Next, we will be travelling to the town of Atlin, British Columbia. This small town is truly unique, surrounded by aquamarine glacial lakes and impressive mountain peaks. Although Atlin is located in northern British Columbia, the only road to access this town is through the Yukon. Once again, if the Aurora forecast is good we will be venturing outdoors to shoot this magic. Day Five Events: Time for a great breakfast before starting our day. Today we will be exploring around a few lakes to capture some great fall colours, hopefully we will be rewarded with some great reflections to compliment our photographs. After our morning shoot we will be heading off to the Yukon Nature Preserve. Here you will learn about how Yukon is all about wildlife management and what they do to help sustain healthy populations of animals. We will have access to photograph some of the wildlife that the regular guests can’t see or access. Here we will work on proper exposure, composition and most of all what makes an impactful wildlife image. After our shoot, we will head off and grab an afternoon bite to eat. But I don’t want you to full as we are about to relax in the Tikini Hot Springs and enjoy the last day of our vacation grand ol’ style! Here you will sit back, relax and enjoy the view, while letting all your stresses leave your body. All before heading back home to your everyday life tomorrow. Afterwards, we will return to the hotel for a little rest and some dinner. If the skies are clear, you bet your bottom we will be heading out for our last chance at what I like to call a farewell to Lady Aurora. If the sky is not going to cooperate, we will do a final recap at the hotel of your images and we can work on whatever you want to come home with a folder full of images to show your friends and family! Day Six Events: Today it’s farewell, flights leave as early as 6am out of Whitehorse. On Day 5 nights if the aurora is good I have dropped people off at the airport after shooting the aurora all night. The last trip I can do to the airport is 9 am, after that the hotel can arrange airport drop off as the hotel is less then 10 minutes away from the hotel. I’m sorry this is my latest drop off time but I need to head north to Dawson city to start my next workshop the following day. Are you ready to photograph Southern Yukon? Click on the button below and we will see you in Whitehorse.